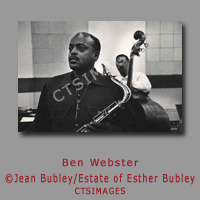 A protégée of Roy Stryker at the U.S. Office of War Information and subsequently at Standard Oil (New Jersey), Esther Bubley (1921-1998) was a preeminent freelance photographer during the "golden age" of American photojournalism, from 1945 to 1965. 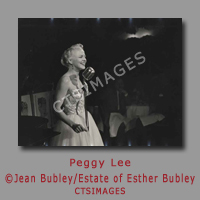 Bubley traveled throughout the world photographing stories for magazines such as LIFE and the Ladies' Home Journal and for prestigious corporate clients that included Pepsi-Cola and Pan American World Airways. 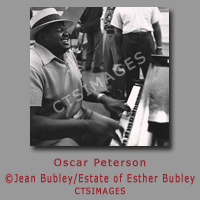 In 1952, Esther Bubley was in Los Angeles on assignment for Ladies’ Home Journal, and her friend, illustrator and artist, David Stone Martin, was also in Los Angeles to attend Norman Granz studio recordings in which he was hired to produce album cover art. 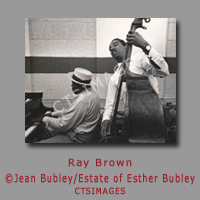 Martin invited Bubley to join him. 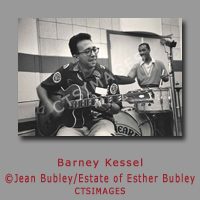 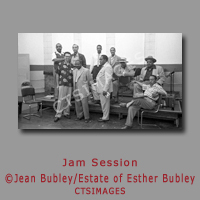 So by chance, Bubley ended up photographing what would later become the famous Charlie Parker / Norman Granz Jam Sessions. 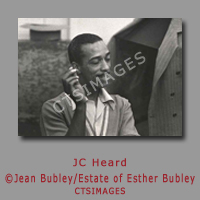 Martin created a collage of her images which he used as the basis for his sketches. 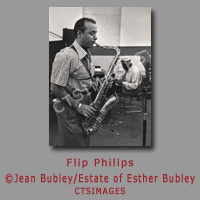 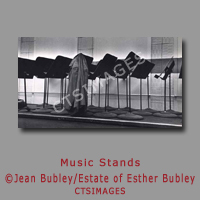 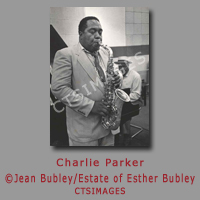 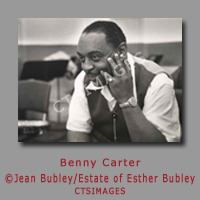 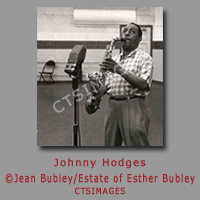 Some of Bubley’s images were used in the liner notes over the years, but others were unpublished until their re-discovery in the mid 1990’s and subsequently published in France by Editions Filipacchi in 1995 entitled “Charlie Parker-The Norman Granz Jam Sessions”. 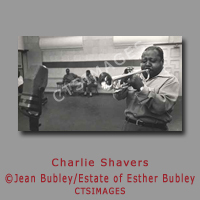 Bubley's monographs include "Esther Bubley: On Assignment", published by Aperture in 2005 and "Fields of Vision: the Photographs of Esther Bubley", published by the Library of Congress and Giles in 2010, and the Charlie Parker Jam Session. 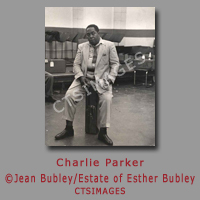 Bubley's prints have been acquired by museums including Metropolitan Museum of Art, the Museum of Modern Art, The Library of Congress, the National Portrait Gallery, George Eastman House, and the Amon Carter Museum of American Art. 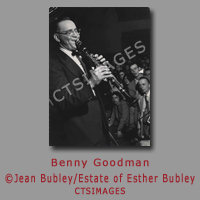 Although Bubley’s jazz images are a very small part of her illustrious career, the photographs document one the most historic jazz recordings ever produced by Norman Granz.